LOUDON, NH (July 15, 2016) - Tommy Baldwin Racing (TBR) will honor the memory of longtime NASCAR Whelan Modified Tour Championship Car Owner, Mario Fiore with a special paint scheme on their Advanced Patient Care (APC) / Nikko RC No. 7 Chevrolet this weekend at New Hampshire Motor Speedway. Fiore passed away last month of an undisclosed illness at age 65. The No. 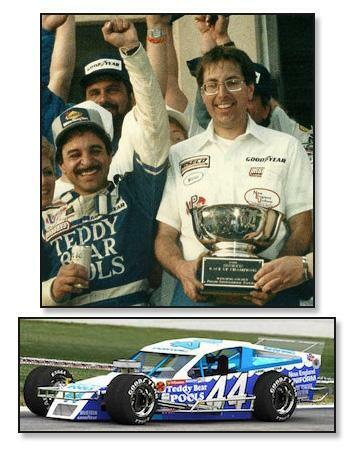 44 team was always part of the NASCAR Modified conversations from the 1970's through the early 2000's within the context of winning. In 2000, Fiore and company took Championship honors with Jerry Marquis behind the wheel. In addition to the Series title, Fiore's team won championships at five New England short tracks over the years. 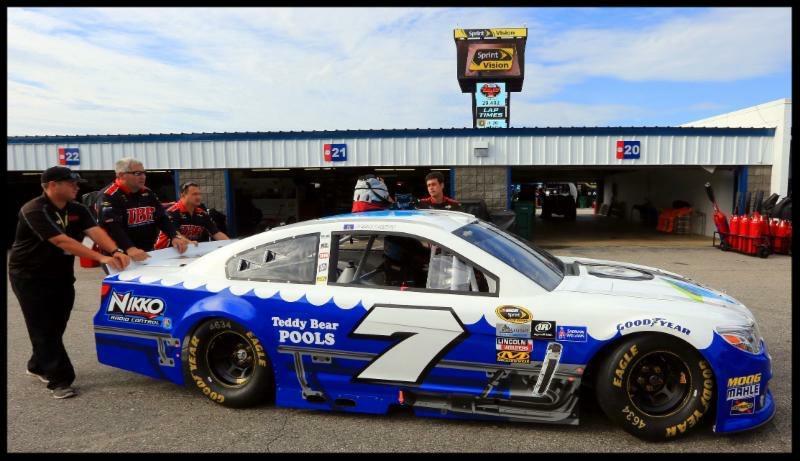 Baldwin ran a poll on their Facebook page for the fans to vote on their favorite paint scheme. The iconic Teddy Bear Pools Pontiac was the overwhelming choice. "Modified racing lost a man who made history in Northeast Modified racing," said Tommy Baldwin, "He had a competitive spirit but, he was always willing to help another racer. He was one of the most well-respected people in the modified community. I'm glad we have the opportunity to tell his story and showcase the car which represents a lot of success." Amongst the drivers that won races for Team Forty-Four are Marquis, Reggie Ruggiero (pictured), Rick Fuller, Greg Sacks and Mike Stefanik.